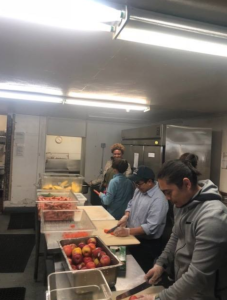 Cityteam San Jose serves about 600 meals per day, and we need volunteers to help make this possible! Volunteers will assist with food preparation, pantry organization, and/or clean-up. No cooking experience or special skills are required. At 5pm each day volunteers will assist in serving dinner to our homeless guests. - Long pants, closed-toe shoes, and covered shoulders are required. - Volunteers must be 14 years and older. - Modest clothing : No yoga pants or Crop tops. - If you are bringing a friend or a group, each participant must sign up individually.